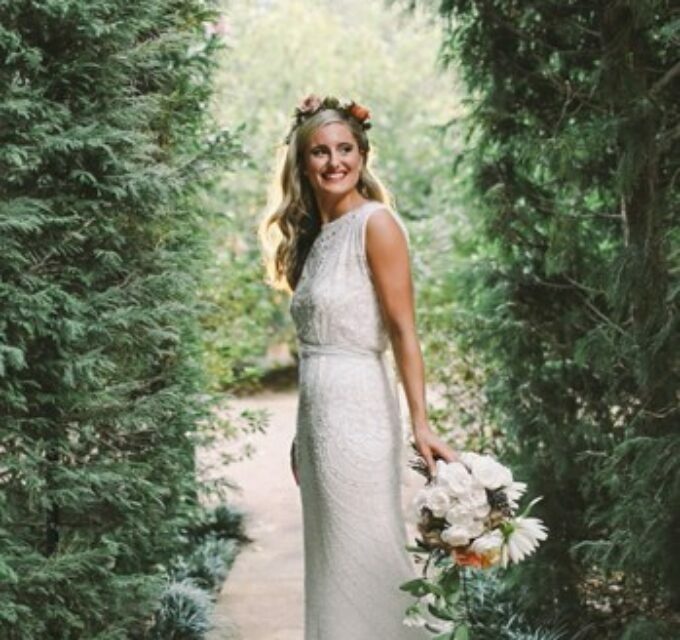 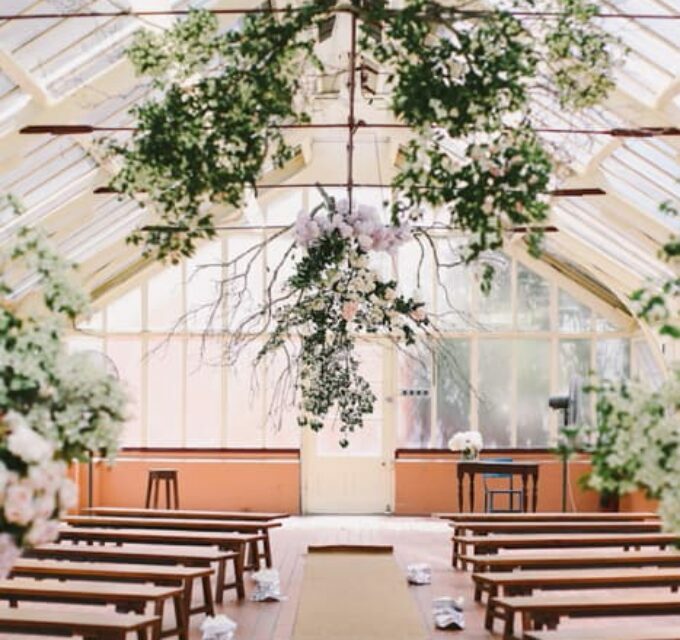 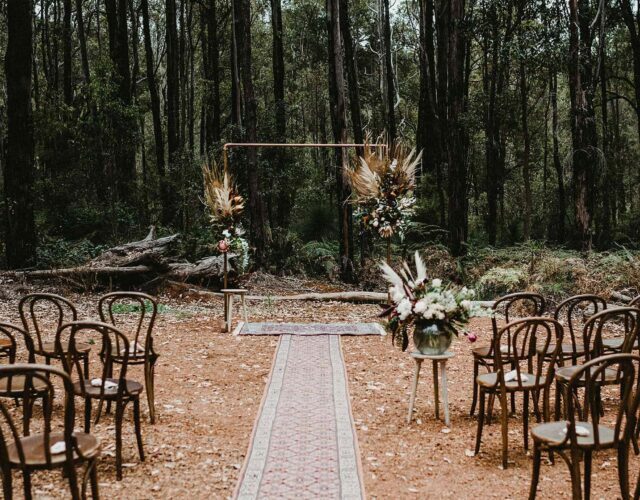 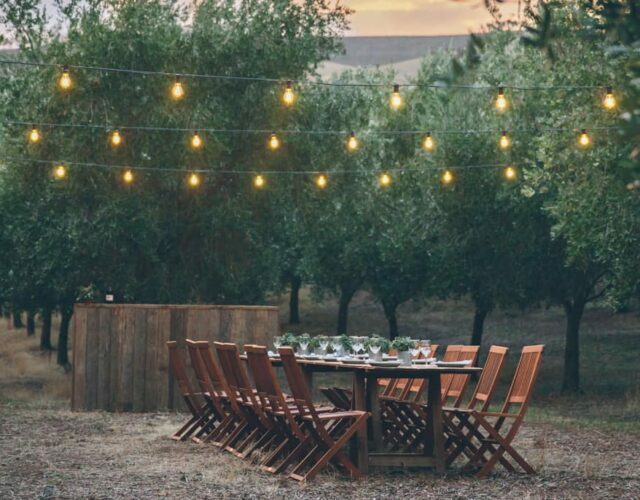 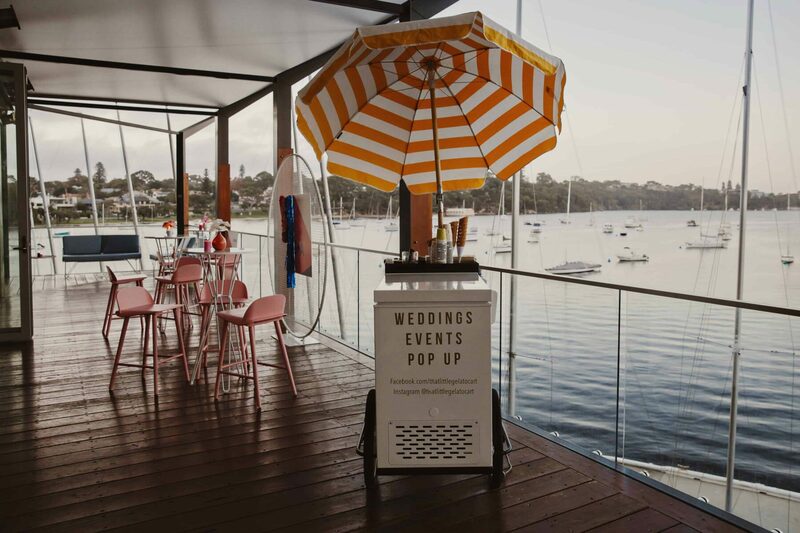 If you’re planning a Perth wedding and need some inspiration, look no further. 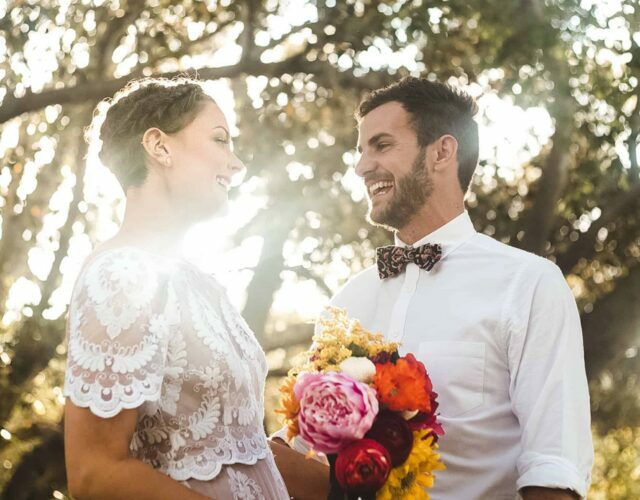 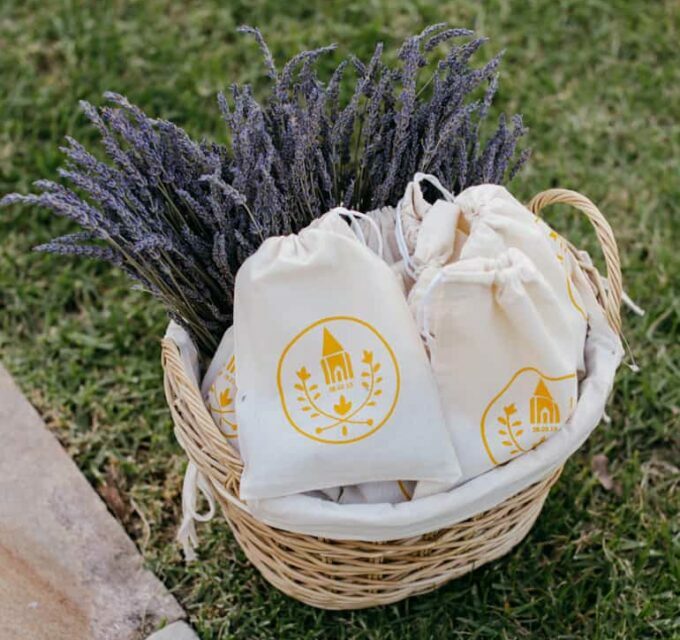 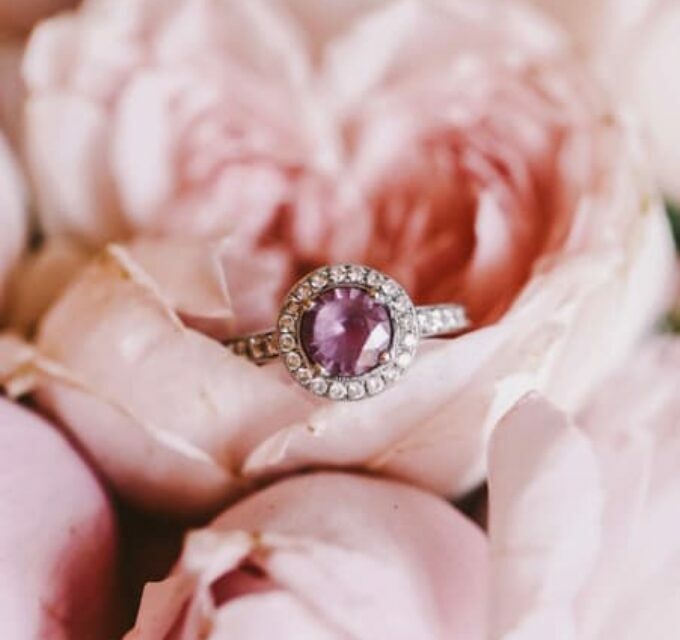 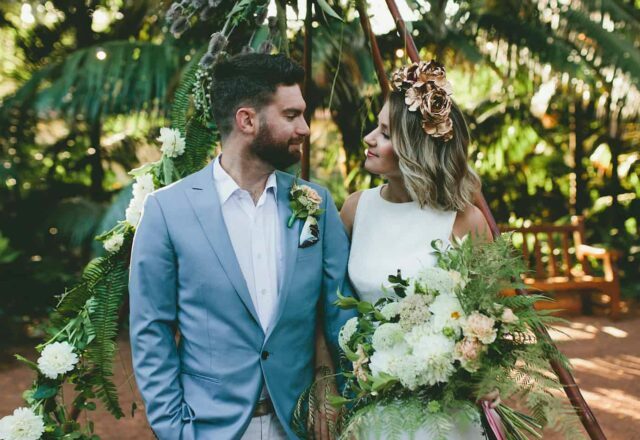 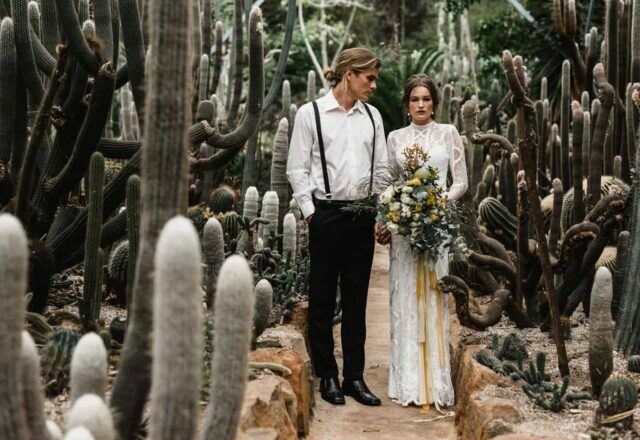 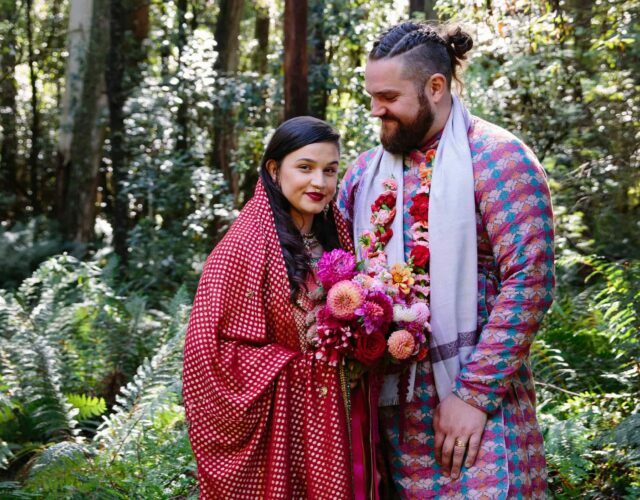 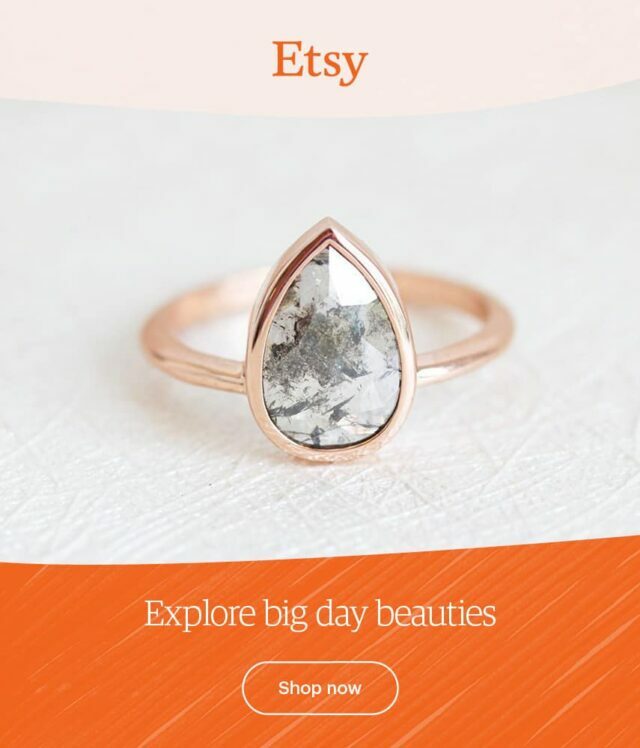 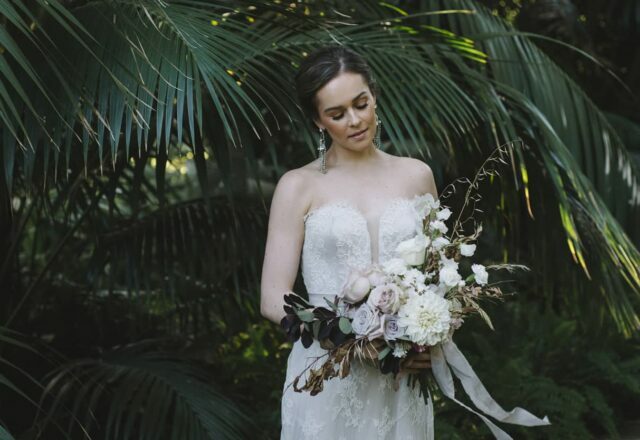 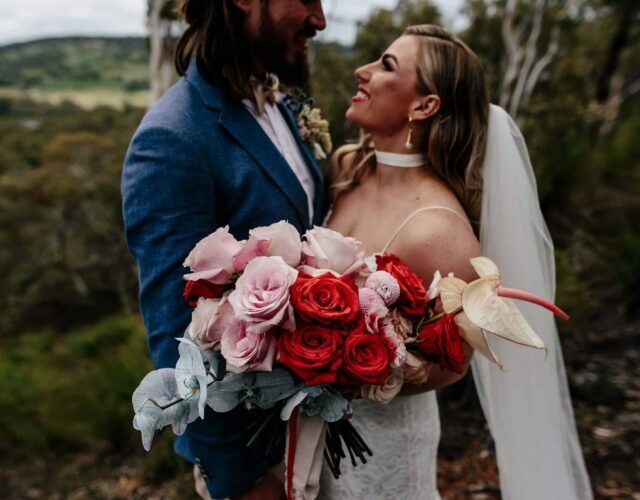 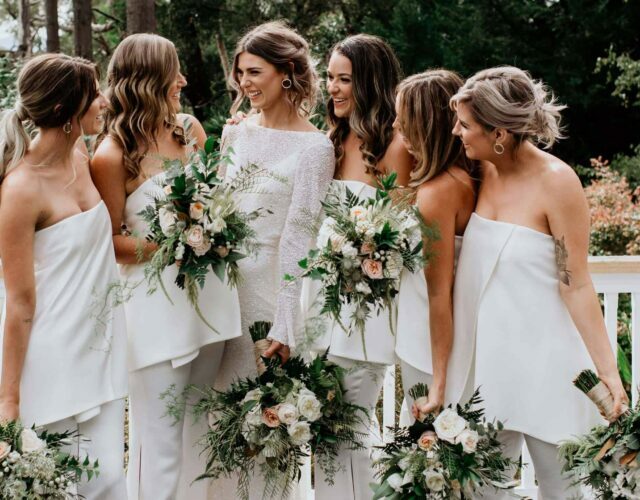 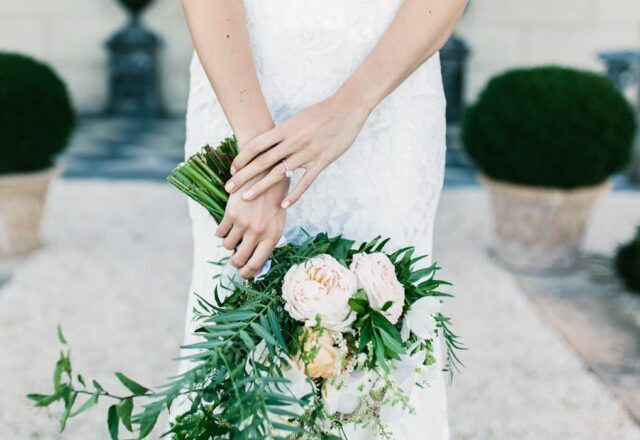 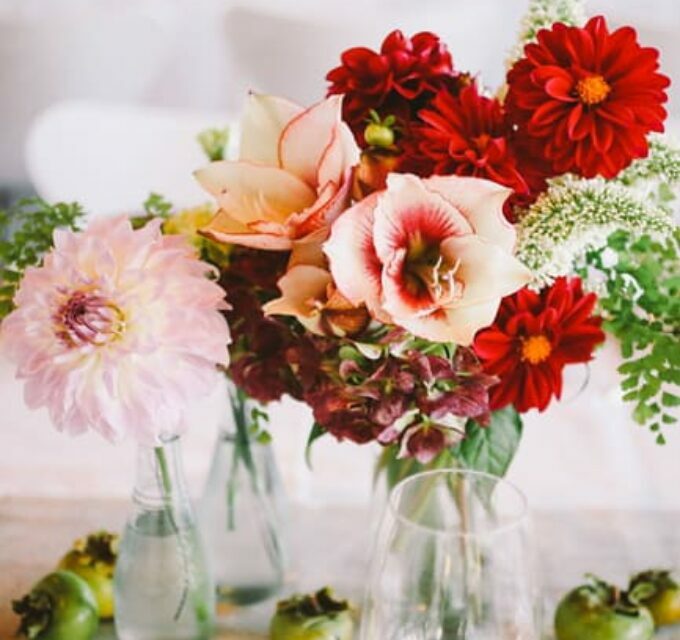 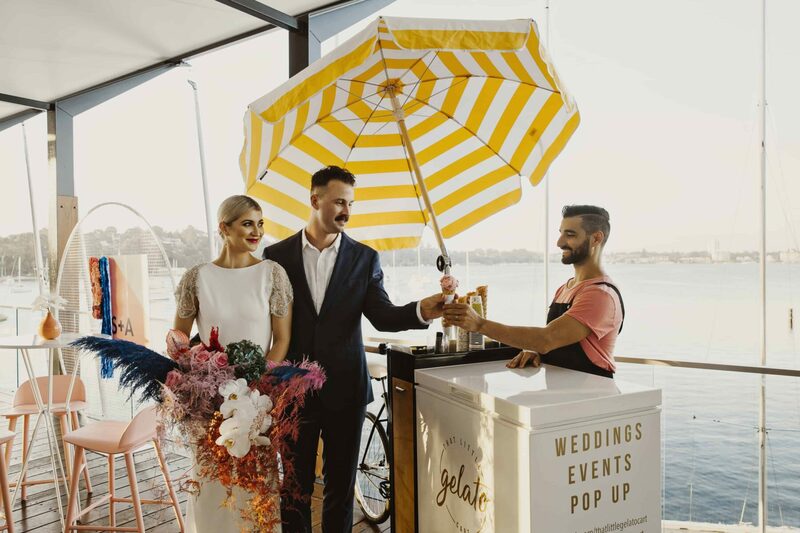 Wedding Upmarket is on again on Saturday 4th of May at UWA, with more than 50 handpicked local vendors ready to showcase their talents and chat all things wedding. 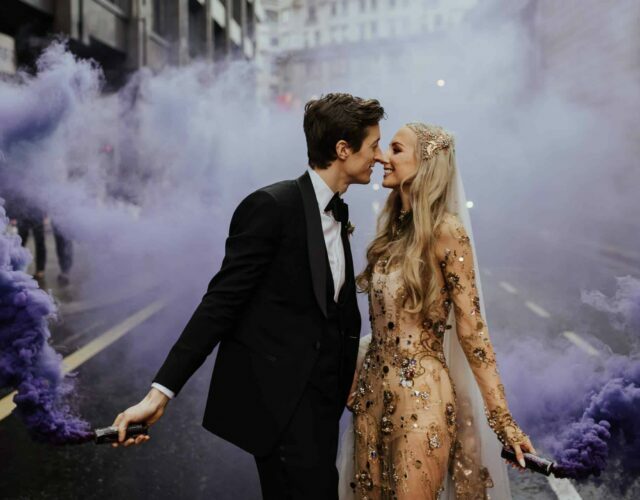 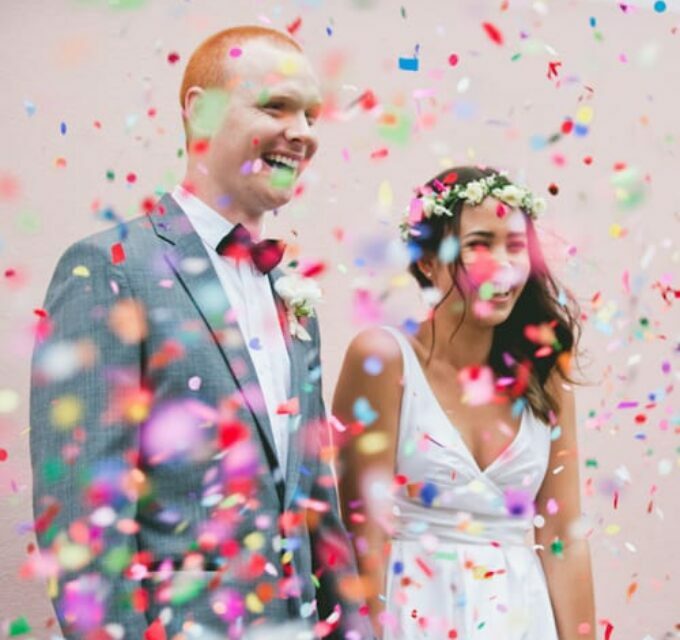 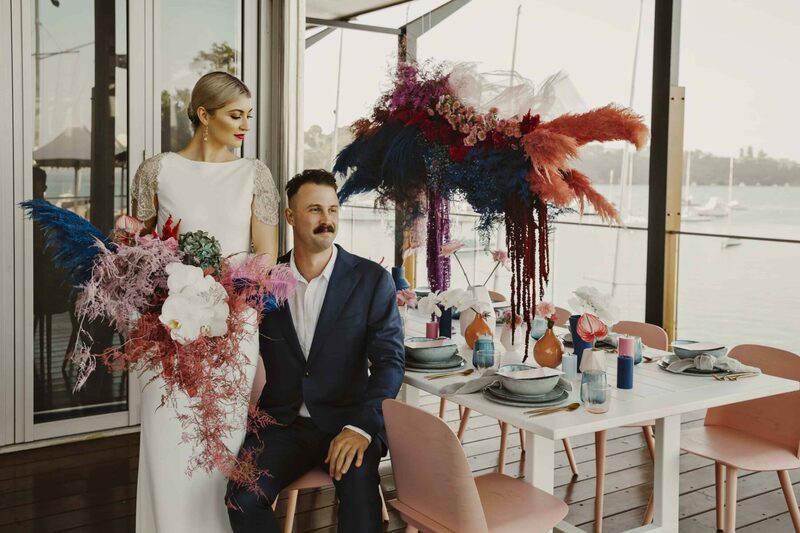 Some of this year’s exhibitors put their creative heads together to produce a fun and colourful styled shoot and we’re loving the result – a vibrant antidote to the subdued style you’ll most often see at a bridal fair, captured perfectly by Christine Lim. 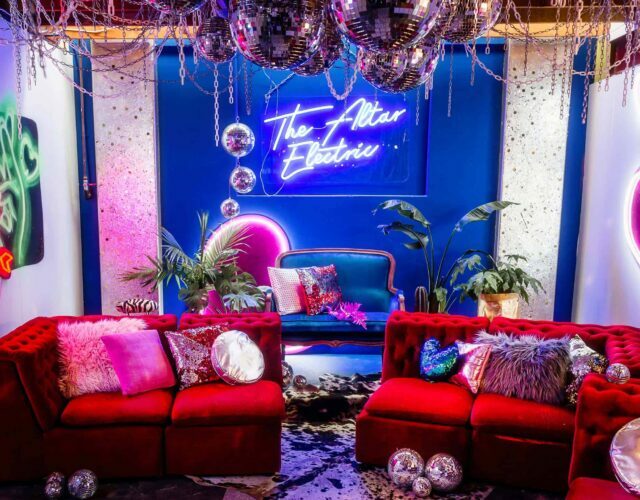 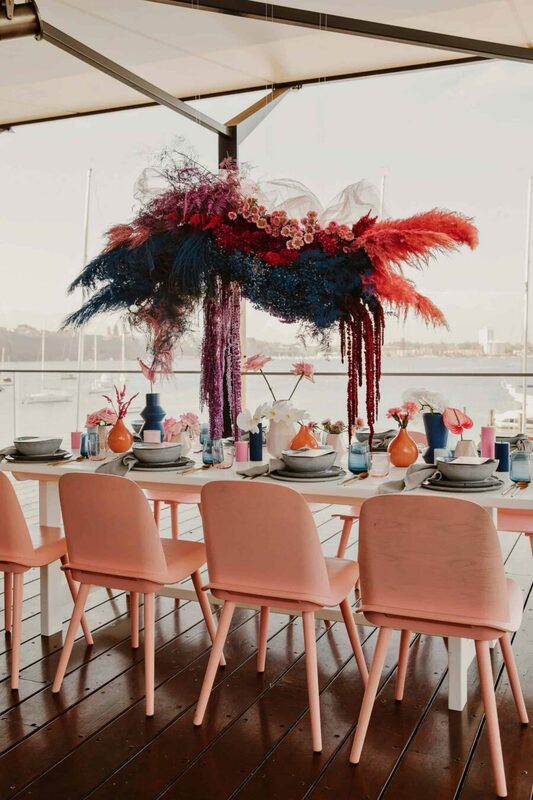 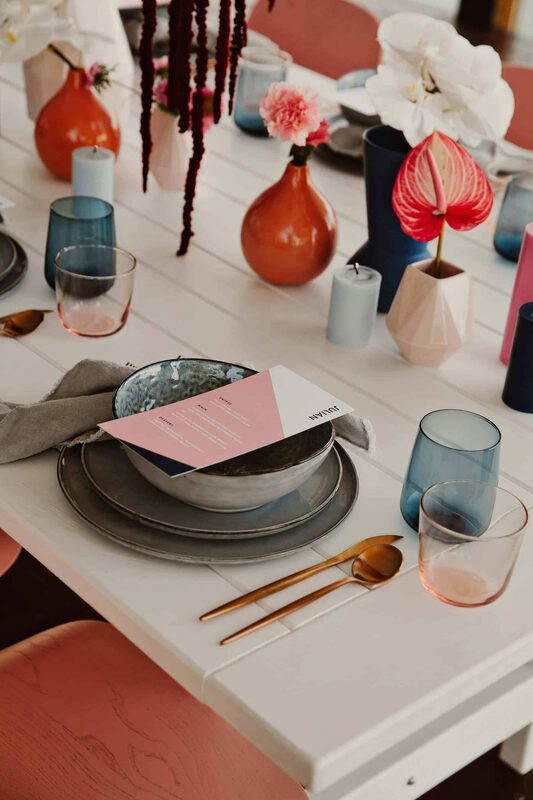 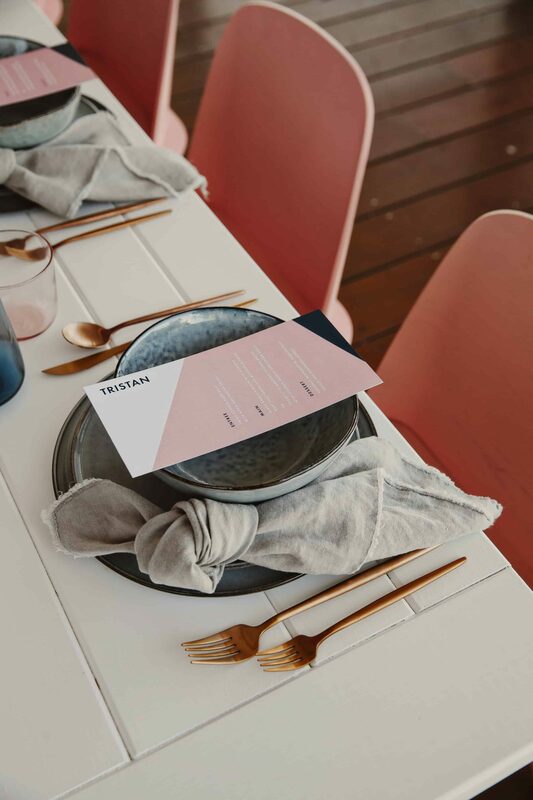 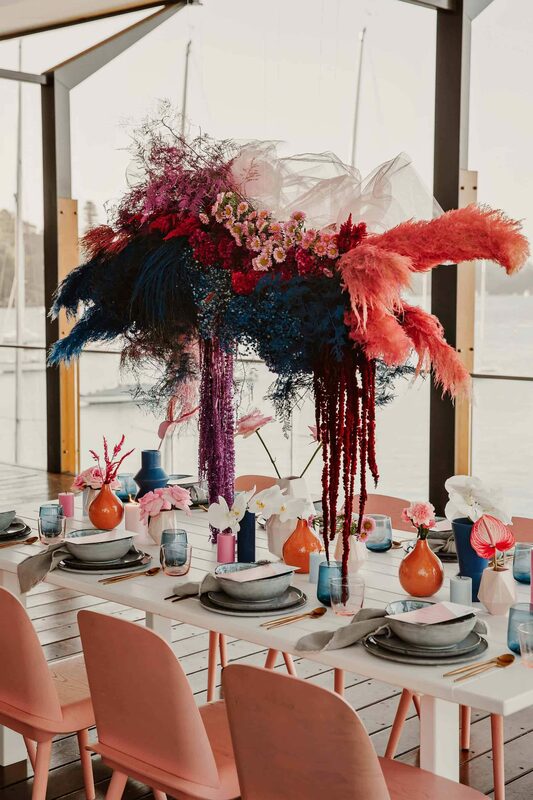 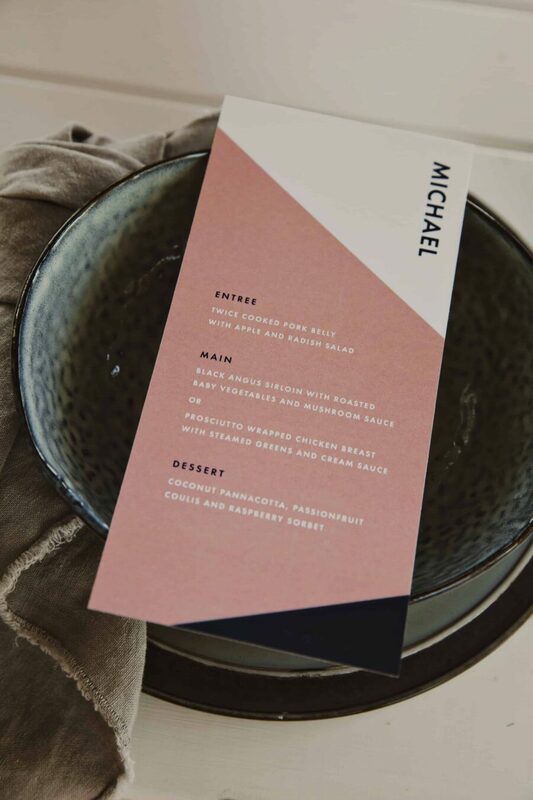 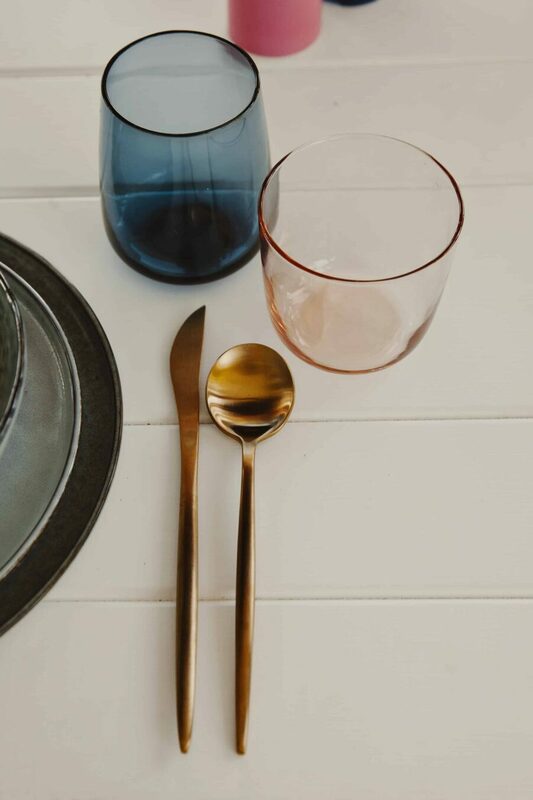 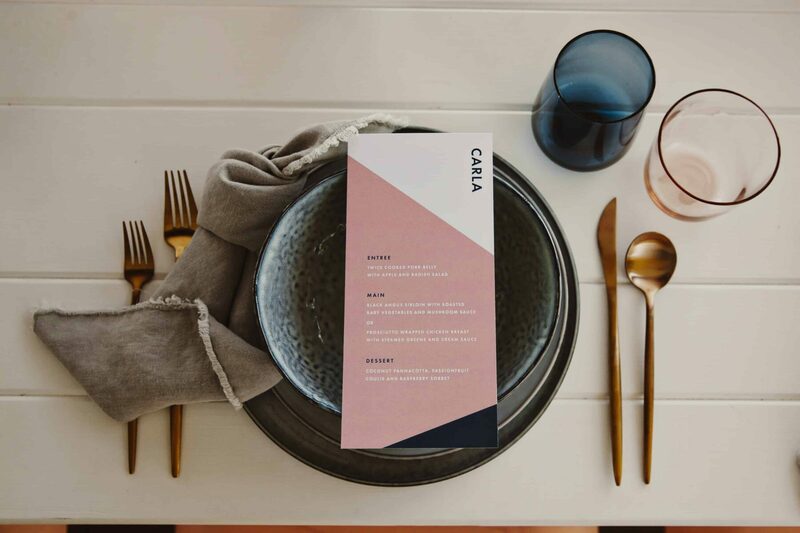 Stylist Flights of Fancy by Kristy was inspired by a Palm Springs vibe, using lots of fresh colour and injecting mid-century elements such as marble topped tables from M Events Hire and a breezeblock backdrop from Bryan Was Here. 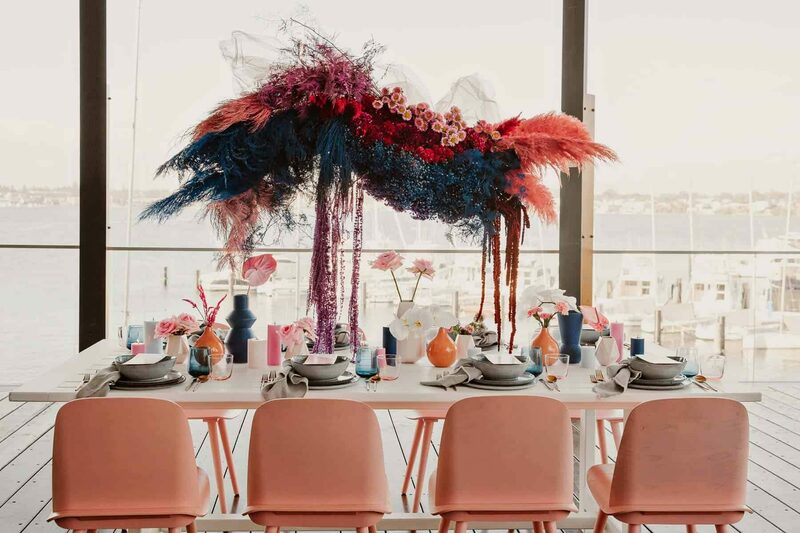 A bold dining table offers an eclectic mix of vessels and candles with tableware from Side Serve and candy pink chairs from M Events Hire. 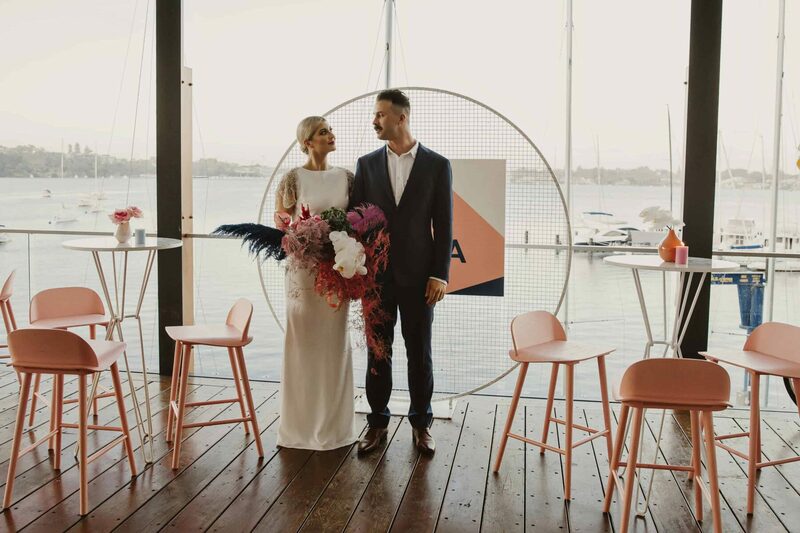 Blooms by Freek Florals including a cloud-like installation pair perfectly with Armila & Co’s colour-blocked stationery design. 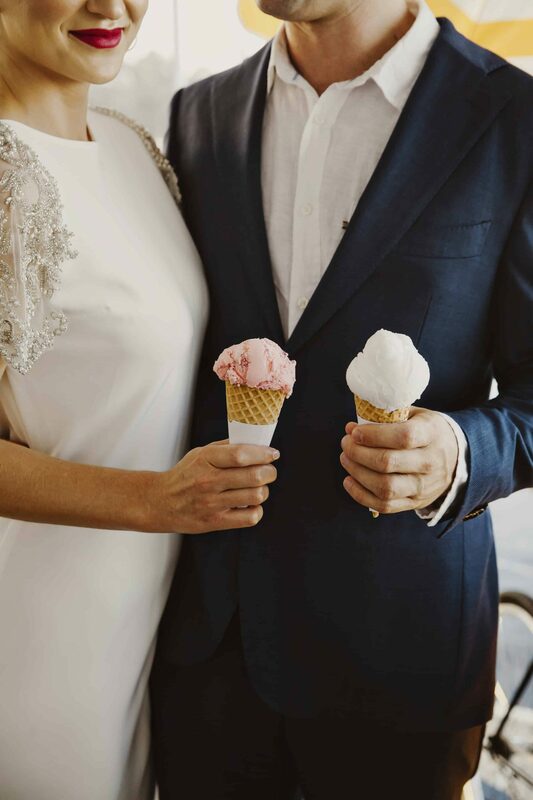 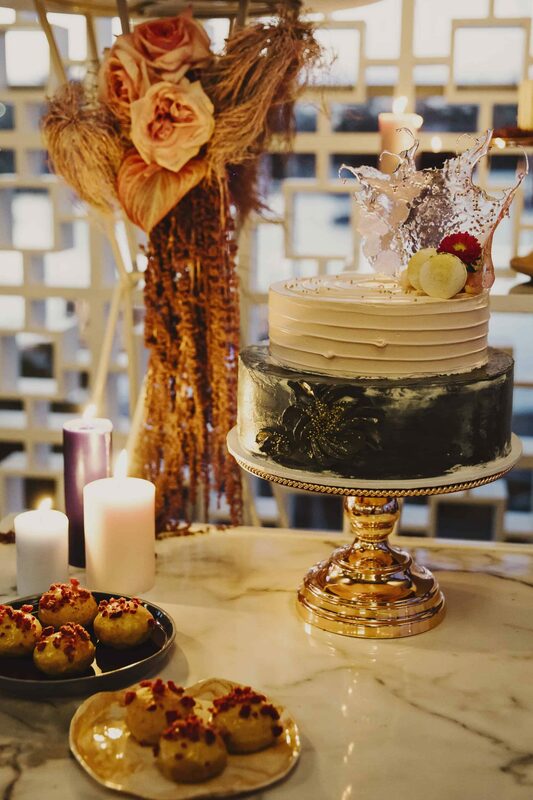 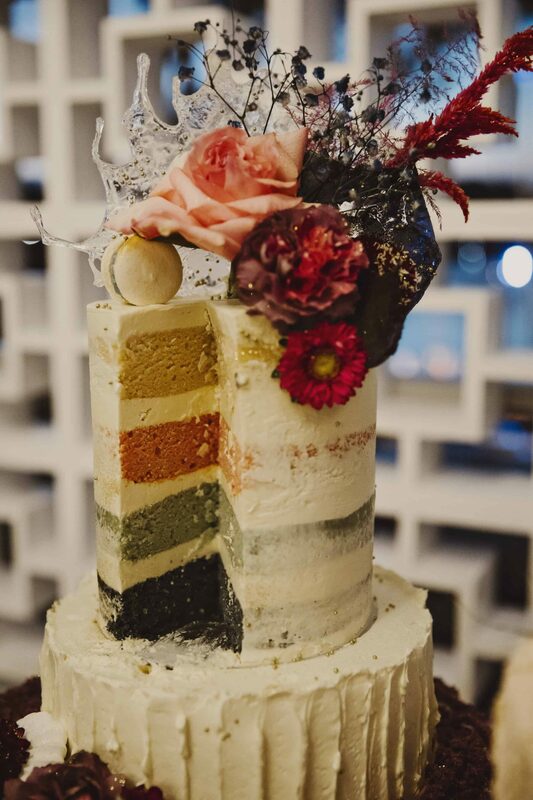 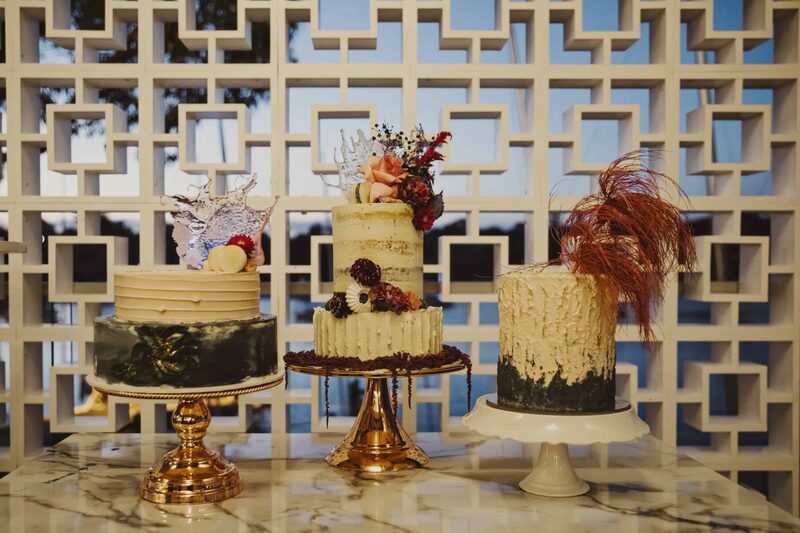 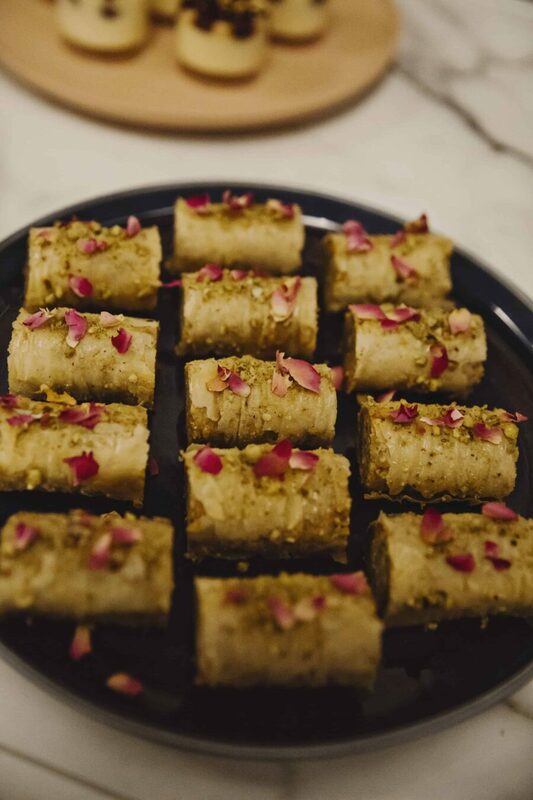 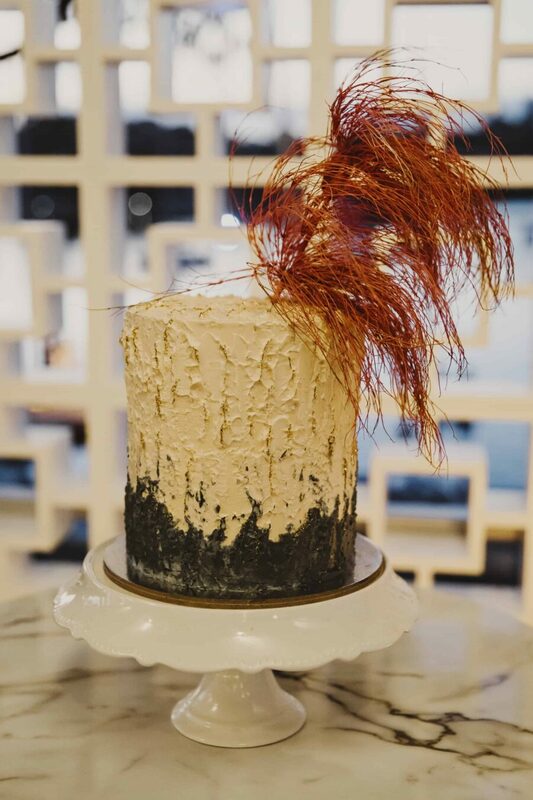 The dessert table features delicate bites by Caviar Catering and a trio of cakes by local cake queen Posh Little Cakes – and as if there weren’t enough sweet treats, That Little Gelato Cart dishes up handmade gelato to the bride and groom on arrival. 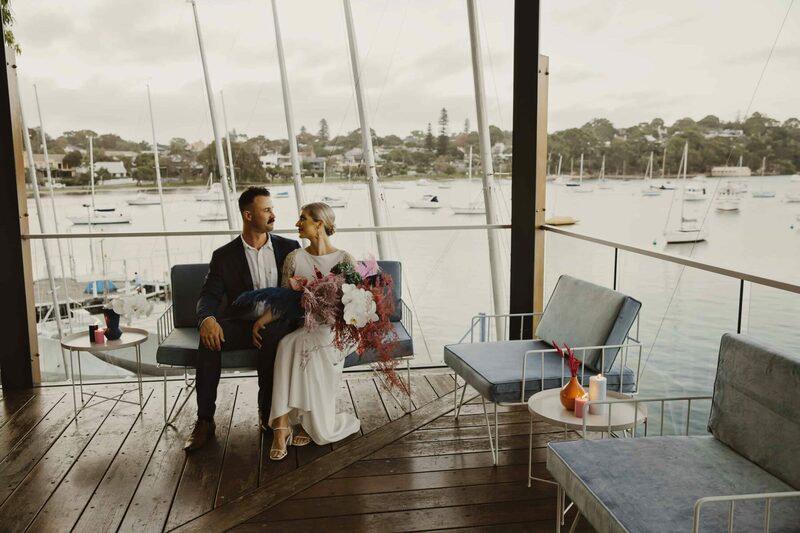 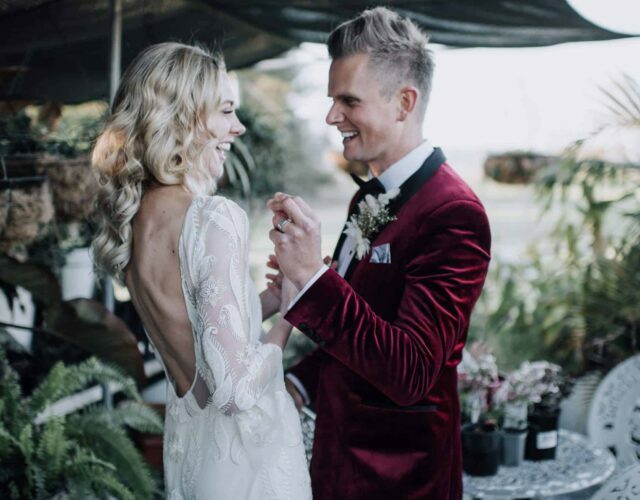 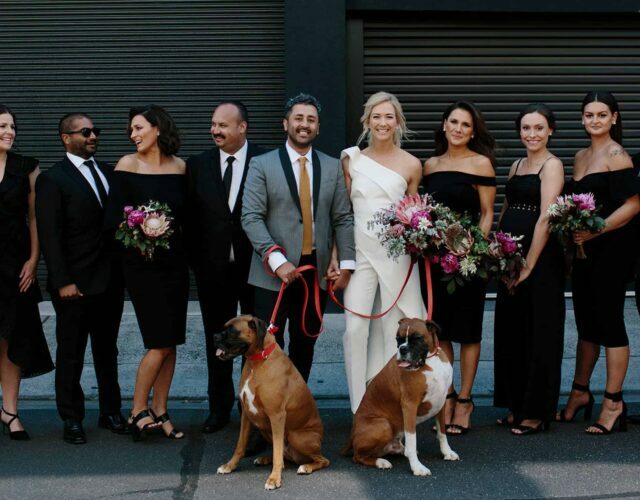 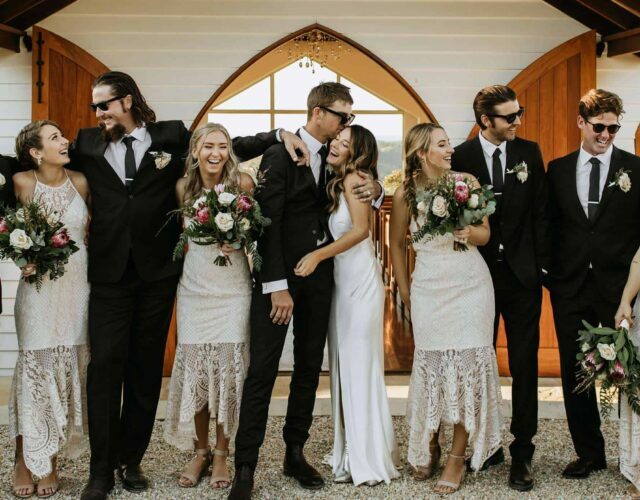 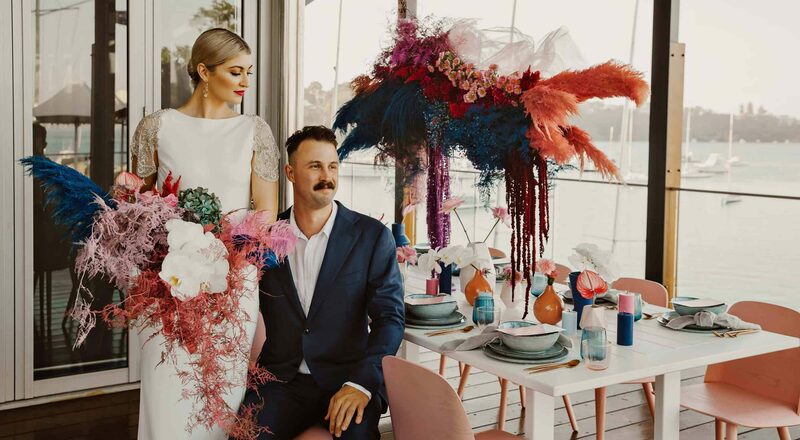 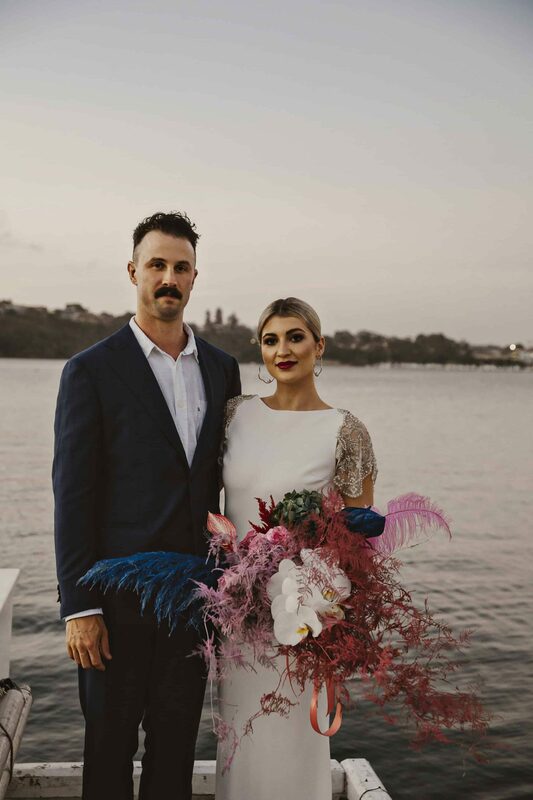 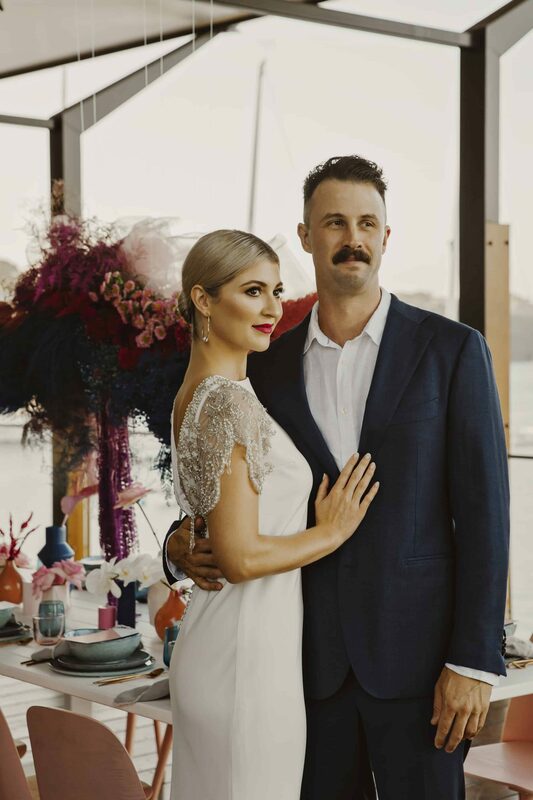 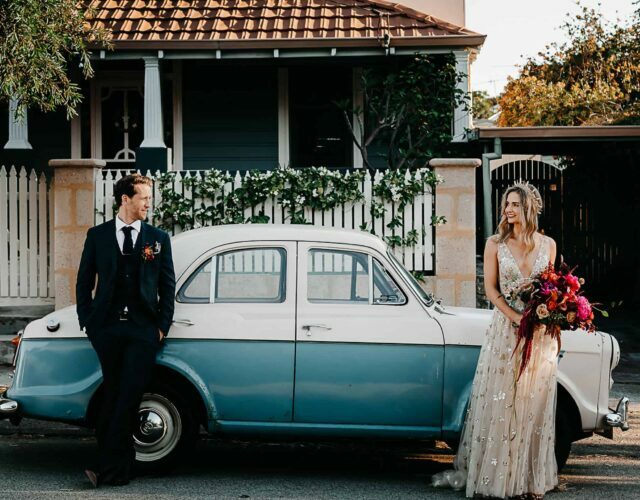 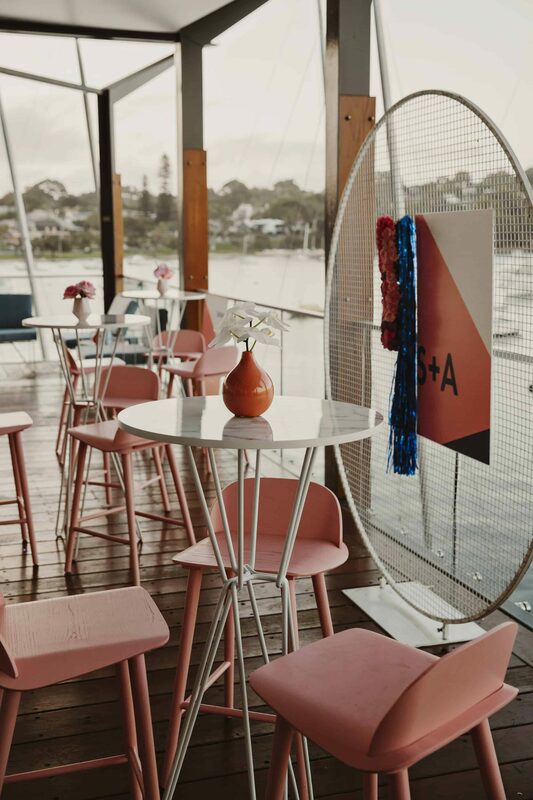 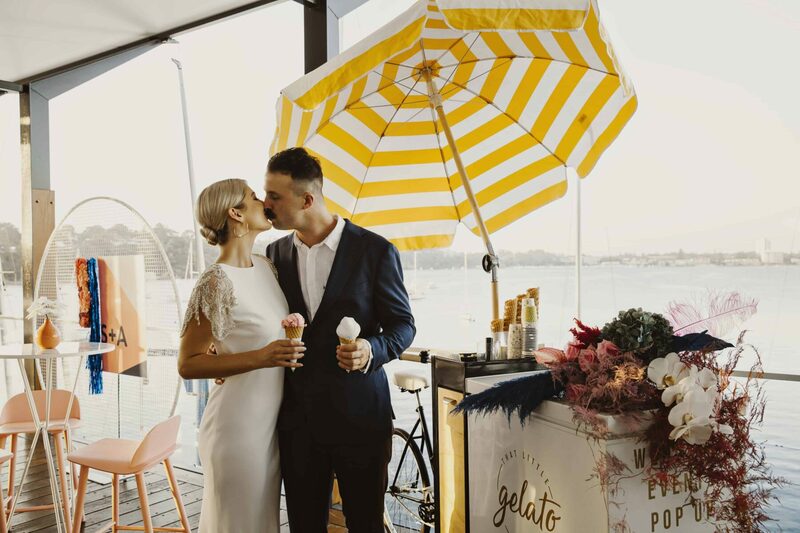 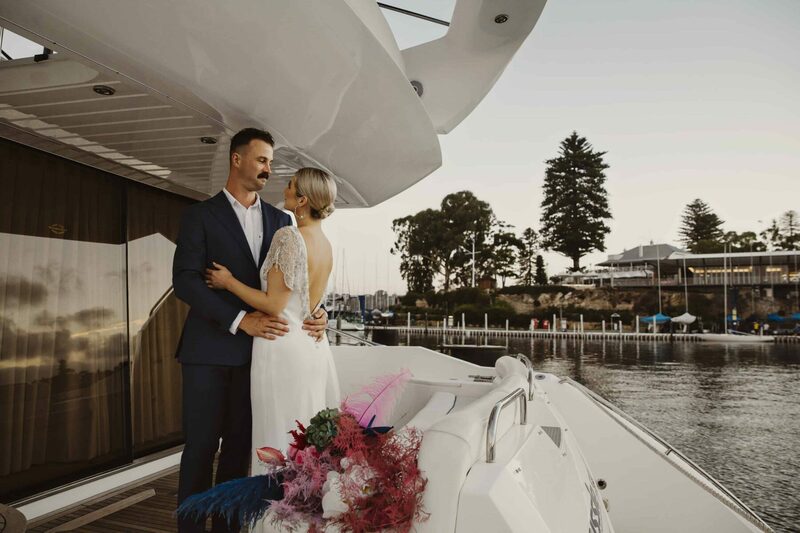 On the fashion front, a simple and chic gown with just the right amount of bling by Elvi Design and sleek hair and makeup by The Pretty Parlour make this bride look right at home in the riverside setting of the Royal Freshwater Bay Yacht Club. 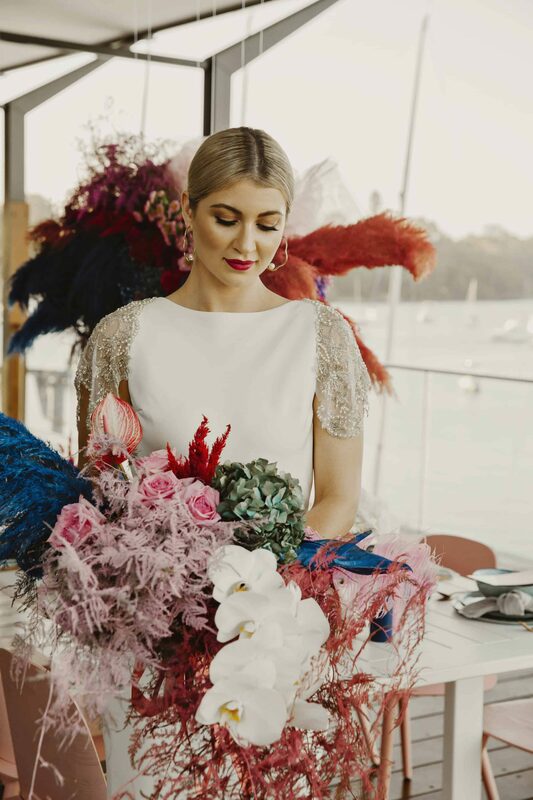 You can catch the vendors involved in this shoot at Wedding Upmarket on Saturday 4th May 2019 from 10am to 3pm at UWA’s Winthrop Hall. 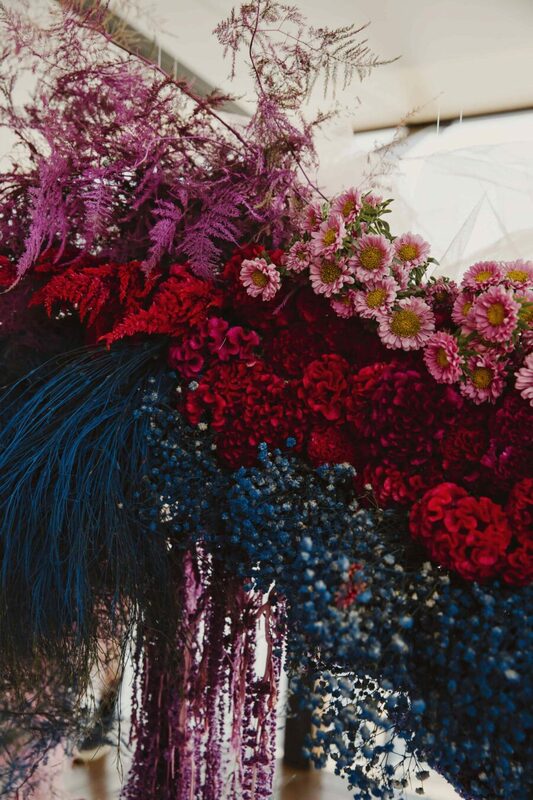 Parking and entry to the fair are free.